China's corn starch industry has developed rapidly in recent years, a trend that is continuing in 2018. On May 28, the China Starch Industry Association analysed China's corn starch industry on its geographic distribution of capacity, market concentration, and annual output. As shown, Shandong Province was the largest domestic corn starch producing area and the country hit a record high in output last year. According to CCM’s research, the country's corn starch capacity was as big as 40 million t/a in 2017. Following the current trend, the production capacity is very likely to continue the growing trend in 2018. China implemented the subsidy policy for corn in previous years to make use of the large corn reserves the country has gathered in the last decades. Higher profits from corn starch have motivated enterprises to build and expand corn starch production lines. In 2017, north China, central Henan Province, northern Anhui Province, northeast and northwest China were the most concentrated corn starch capacity regions and main corn producing areas. Materials supplies were sufficient and costs were low there that deep processors could increase production of moist grains. Shandong Province was still the largest cornstarch manufacturing region in China. As Heilongjiang Jinxiang and Eppen Biotech have rapidly improved their capacity, Heilongjiang Province and Ningxia Autonomous Region's corn starch outputs both surpassed 1 million tonnes. Total outputs of Shandong, Hebei, Jilin, Heilongjiang, Shaanxi, Henan provinces and Ningxia Autonomous Region were 95% of the country's yields, according to market intelligence firm CCM. Some large-scale deep processors have built relatively complete intensive processing industrial chains and thus held high market shares last year. This indicates China's relatively high capacity concentration. According to data, 41 producers respectively manufactured over 100,000 tonnes of cornstarch, 25.50 million tonnes in total and 98% of domestic gross outputs. Zhucheng Xingmao is the biggest one, with an output of 3.41 million tonnes and 13.1% market shares. COFCO, Xiwang Group and Shandong Shouguang respectively manufactured 2 million tonnes, 1.60 million tonnes, and 1.57 million tonnes of cornstarch, with markets shares of 7.7%, 6.2%, and 6.1%. China’s national policy mainly affected corn's price during March and May 2018. The Ministry of Commerce of the People's Republic of China imposed tariffs on farm products like soybean, corn, and sorghum imported from the USA on April 4. 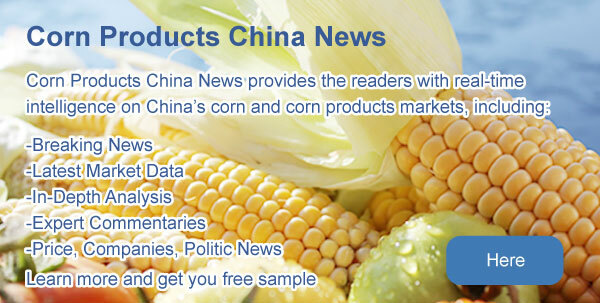 Then on April 12, China launched a bidding sale of temporary corn storage. If the Sino-US trade war has been further eased, corn price may decline. Corn stored by deep processors in Northeast China was completely consumed, which sharply dropped processing profit. Price of international cassava starch skyrocketed because of reduction of Southeast Asian producers, resulting in a great increase in domestic corn starch exports. Export volume of cornstarch is expected to remain stable. Currently, domestic starch companies have high operating rates and sufficient supply. It is predicted that price of cornstarch will remain steady with fluctuations. Demands for sugar, paper, and food are sluggish, thus spot price of cornstarch will hardly increase in a short period, but it will remain steady with stable cost. Thus spot price of cornstarch may remain stable rather than fall down. Over a half of demands for cornstarch are from starch sugar. However, consumption of starch sugar only maintained a slight growth this year because its price difference with sugar shrank and sugary drinks were no longer popular with the young. Exports of fructose obviously fell because of increased import tariffs. As predicted, China's fructose export volume will sharply decline in 2018, leading to domestic oversupply. As one of the most important sectors of the corn deep processing industry in China, corn starch industry saw a healthy development in recent years, shown by the significant increase in output and export volume. The cornstarch cost decreased along with falling corn prices. It is a fact, that the highest cost factor of corn deep processing is the raw material cost for corn. When the corn price drops in the market, the cost of sales for corn deep-processing enterprises falls alongside. Another decisive factor can be seen in governmental subsidies. In November 2016, the Chinese Government announced that the qualified corn deep processing enterprises in some selected provinces would receive subsidies from the government for the corn purchased. Those beneficial subsidies are encouraging many manufacturers to use the full potential of their corn starch production lines. Many market players experienced a much better export performance for their products in 2016. China's export volume of cornstarch increased to a high degree, mainly owing to the further drop and better advantage in corn price. The prices of domestic corn and cornstarch shared almost the same changing trend. 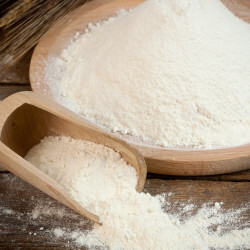 Most of the cornstarch in China is consumed by the domestic market, despite its larger export volume, with the biggest share taken up by starch sugar processing. According to official statistics, 60.71% and 6.19% of the domestic corn starch were used to produce starch sugar and modified starch respectively in 2016. 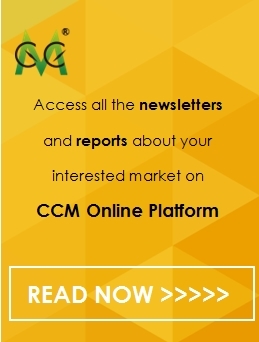 Get regular and exclusive insights into China’s corn products market by subscribing to CCM’s monthly published Corn Products China News. Join the discussion in our groups on LinkedIn and Facebook. Follow CCM on Twitter: @CC_Kcomber.